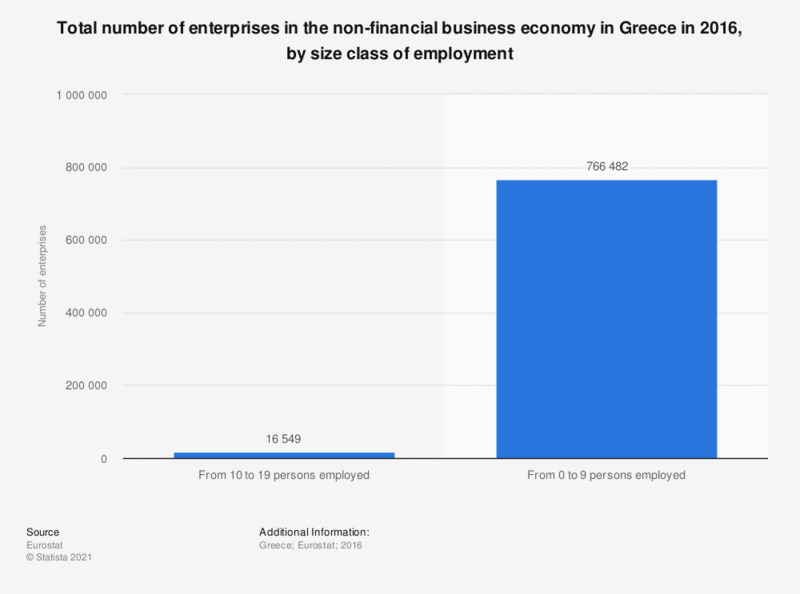 This statistic shows the total number of enterprises in the non-financial business economy in Greece in 2013, by size class of employment. In 2013, there were 388 enterprises with 250 or more employees in Greece. ** Data for 2014. According to the source, the numbers for enterprises with 10 to 19 employees, 20 to 49 employees as well as 50 to 249 employees were confidential.